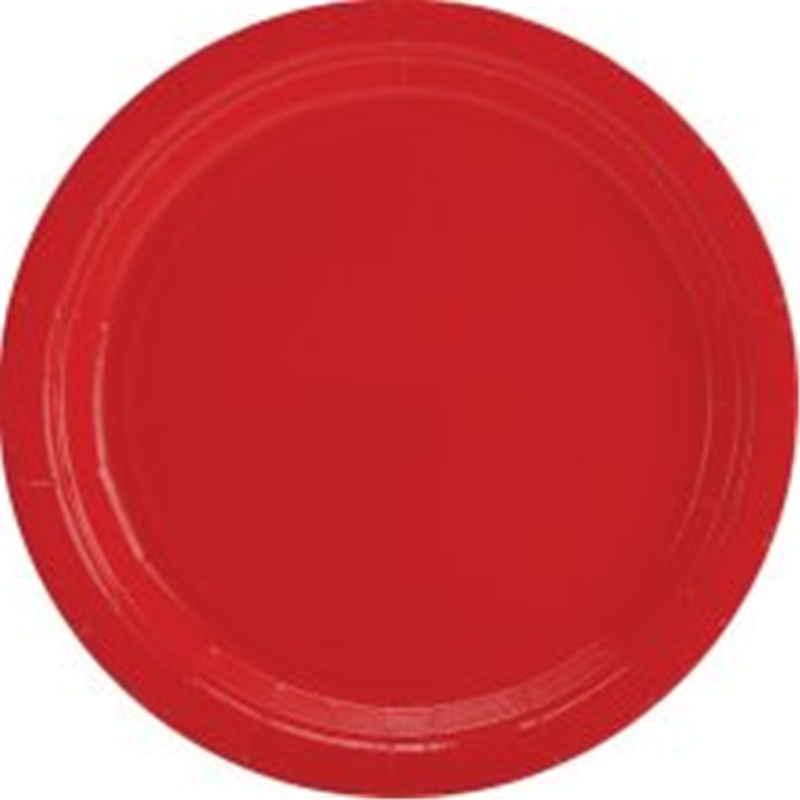 7" Red Round Plates.Includes: 20 Red Round Plates.Dimensions: Approximately 7" Diameter.Color: Red.These plates are made from paper and are circle shaped. Great for any party! Don't forget the napkins, cups and dinner plates to complete the set! Made by Unique Industries. Includes: 20 Red Round Plates. These plates are made from paper and are circle shaped. Great for any party! Don't forget the napkins, cups and dinner plates to complete the set!